Imagine, you are on the interstate, speeding out of control, someone is after or trying to kill you and you fear for your life! No its not some criminal, thug, gangster or even the Police, its your ex-boyfriend, girlfriend, babies daddy or mama, lover, ex-husband or current wife. Or imagine having someone you used to love or one you have been involved with stalking you and watching your every move. Even though you have broken up with them, let them go, told them it was over, separated or divorced them, they are still apart of your life. Some are so obsessed with you that find a way to hack into your e-mails or they call your home or cell phone constantly from a blocked phone. Then there are those who take it to the extreme or even to bigger level, where they spread rumors or lies while others may confront you directly on your job. Some may damage your property, while others threaten to harm or even to kill and do whatever possible to keep you from being happy. No matter what you do or what you try they won't leave you alone or let you go. These people are called Fatal Attractions and if you aren't careful or if you don't have a plan, then certain situations could ruin your life or your life may become a living nightmare. 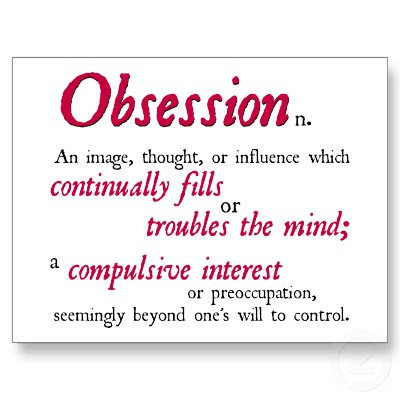 Question is what does one do if someone become obsessed with you, threatens to kill you, then a becomes a stalker or a Fatal Attraction? After all most domestic violence crimes are crimes of passion and are done by someone they may know or by someone they have been involved with. Also most people who commit these types of crimes hate rejection or they are afraid to let go. My advice is very simple; first have a plan and know the type of man or woman that you are dealing with. If they happen to be insecure or possessive while they are with you, then its a good possibility that they will become even more possessive when you are away. Before any breakup or divorce one must make sure they have a safe place to reside in, that's far away from the one that may cause you harm. Also all parents or friends should be notified just in case something bad happens. If the situation happens to get out of hand or out of control, then they should file a restraining order with their local Police Department. As a precaution, always remember that filing a restraining order isn't enough to keep anyone safe or alive. There have been a couple of thousand cases documented where someone, filed a restraining order with the local Police Department, only to be harmed or even murdered later. What to do if you happen to have a fatal attraction? By always being aware, have a plan of escape and always be prepared for the unexpected or a Fatal Attraction. In life there are many things that can be replaced, (Car, Job, Money or Home) but once a life is taken its gone forever, that's why one must always be aware of the Fatal Attraction. Write in then express your thoughts of views on the subject.